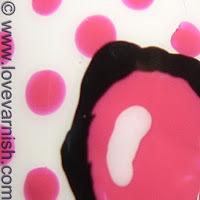 Love Varnish: 31 Day Nail Art Challenge - Polkadot Nails! Hi loves! I am so excited to show you today's challenge manicures, because well, this one was really challenging haha. Not the theme, I love dots and have done lots of dotticures already, but I wanted to give this one some extra kick. And then, I saw this awesome manicure from Nailed It. I immediately knew this would be my challenge: perfect polkadots, covered in drip, executed in a pop art style. I started with a base of OPI My Boyfriend Scales Walls. Then, using a small sized dotting tool, I created the "background". 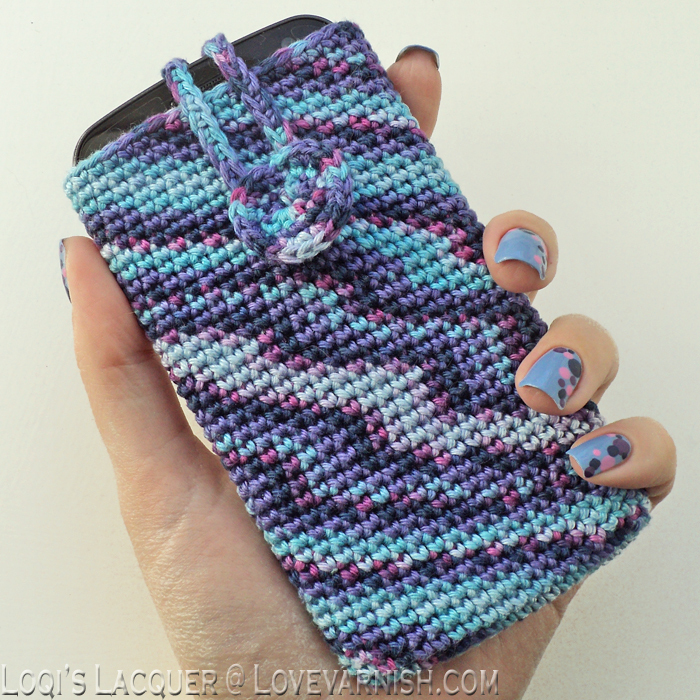 The colors I used are Bondi Fuchsia-tastic (pink), Bondi NYPD (blue) and Ulta Cha Cha (yellow). After the dots dried, I used a small nailart brush and the same colors to create the dripshape. Again, waited for it to dry, then used a short striper brush and black polish to outline the drip, and with a small dottingtool and the OPI created the "3d" shape. I hope you like the outcome, they aren't perfect but I was still proud of them! 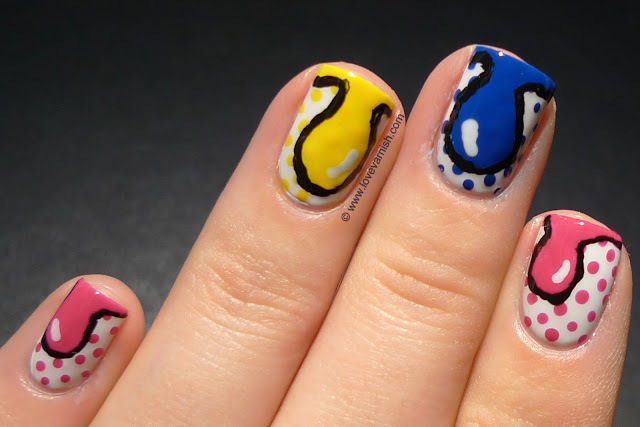 Have you ever tried this kind of freehand nailart, like the drip shapes? I first painted my nails baby blue with Kiko - 339 Cornflower and then used several sizes dotting tools to make the pattern (the largest dots were actually made with the back of a pen, who needs fancy store bought tools right?). For the dots I used: Zoya - Mira (purple), China glaze - Dance baby (pink) and Herome - Frankfurt (blue). This was a very easy manicure to do, but I had never done one like it, so I'm very happy with how it turned out! 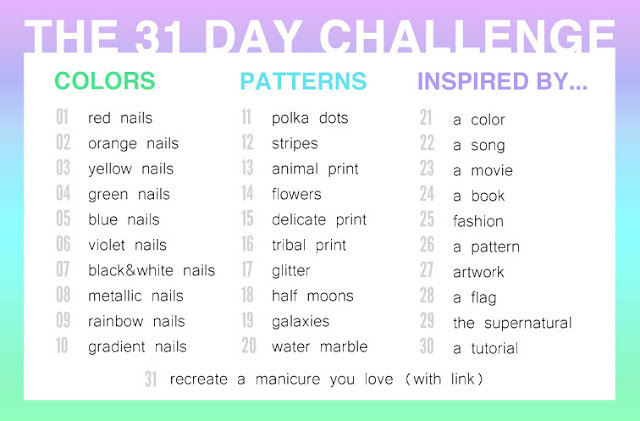 Stay tuned for challenge day 12: Striped nails! They are both amazing especially the pop art polkadots!! Thanks Elin, glad you like them! And Loqi's dotticure is so cute *__* love the colour combo! your floating communications piquant and pleasurable. to metamorphose a large patronage in and then alter on your site and successful a misapprehension.